Weslo exercise bikes are an excellent choice if you’re looking to shed pounds and get into shape but are on a tight budget. Weslo specializes in designing and manufacturing affordably priced home fitness solutions that don’t skimp in the least on features and quality. 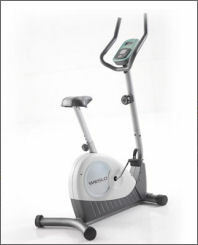 Weslo exercise bikes offer numerous innovative features and benefits such as comfortable adjustable plush seats, SMR (Silent Magnetic Resistance), easily viewable LCD displays that track important stats such as speed, pulse, RPM, time, distance and the amount of calories you've burned, Weslo's Easy Pulse heart rate monitor, built-in computerized workout programs, adjustable resistance, built-in transport wheels, ergonomically designed frames and components, and study construction. 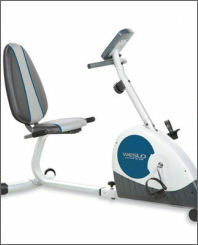 In addition Weslo manufactures exercise bikes in both upright and recumbent configurations so no matter which you prefer they've got you covered. 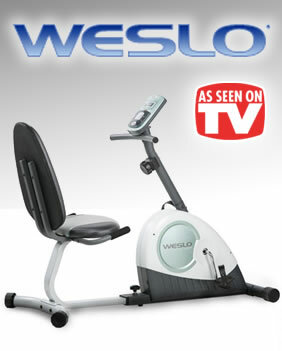 Weslo's motto is "Fitness For Real People" and it shows in their high quality and economically priced home exercise equipment. Weslo's goal is to offer fitness equipment that is affordable enough to fit all budgets while offering the quality that you would expect to only find in more expensive equipment. If your goal is to get into better shape while saving money at the same time, a high quality Weslo exercise bike is just what the doctor ordered!